Does anyone know how many of the signed ones were pressed? 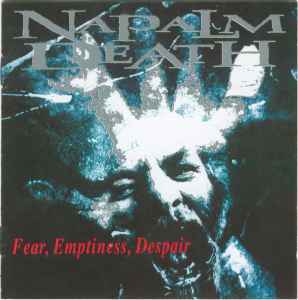 I would have to say this is my all time favorite Napalm Death CD. to this album not found much on any of their other albums, its hard to explain. and no one stops playing, just a straight out mosh fest of riffs that goes on and on. The leading track Twist the knife (slowly) sets the pace and shows you what your in for.. I wish i could describe the style on this disc that is different than the others but i can't. All i know is if someone is a Napalm Death fan and haven't heard this one yet ? Then you really should pick this one up. I've often wondered if its because of a band getting more technically proficient with the instruments or song writing should what i like about this disc be attributed more to the people involved with the production. also after i posted this i started wondering about the lineup.. I havn't been keeping track of who was in the band back then and now. So that may be another reason why i like the Napalm disc the most. Napalm is STILL putting out heavy/good music in the year 2012. A lot of bands should take note here. Such as Metallica and Megadeth. Look at where all 3 bands started and where they ended up. Napalm wins the consistency prize there hands down. Lots of respect for Napalm Death !